In an environmental-friendly approach, the mayor of Paris decided to reduce traffic by creating a walking and relaxing area along the Seine. The embankments were thus transformed into a 10 hectares park (100,000 square meters), switching tarmac for grass and trees. Parc Rives de Seine turned into an oasis of greenery, where everyone can enjoy long strolls along the park, sport, drinks, and pedestrians can walk from Bastille to the Eiffel Tower, crossing the numerous bridges spanning the river. 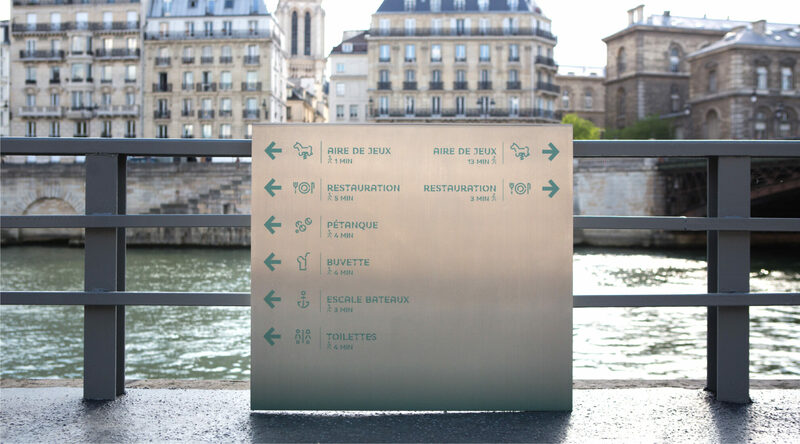 To celebrate the restored connection between Parisians and their banks, we were inspired by the Seine river and its bridges’ very essence. Numbering 37 bridges, they span the river, connecting people and places physically and symbolically. The exclusive typography pays tribute to these bridges, with each letter of the alphabet reflecting the shape of a bridge orientation. 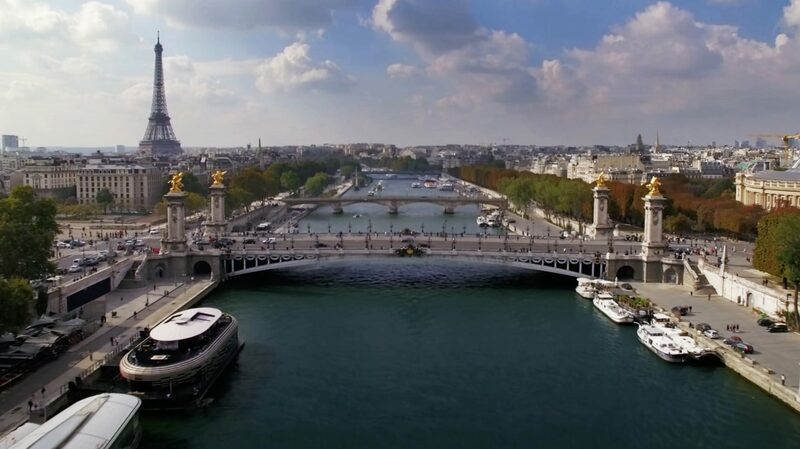 From A to Z, you will discover Parisian bridges from Iéna to Sully. We have created the identity of this unique place with a dedicated brand language full of life and motion. 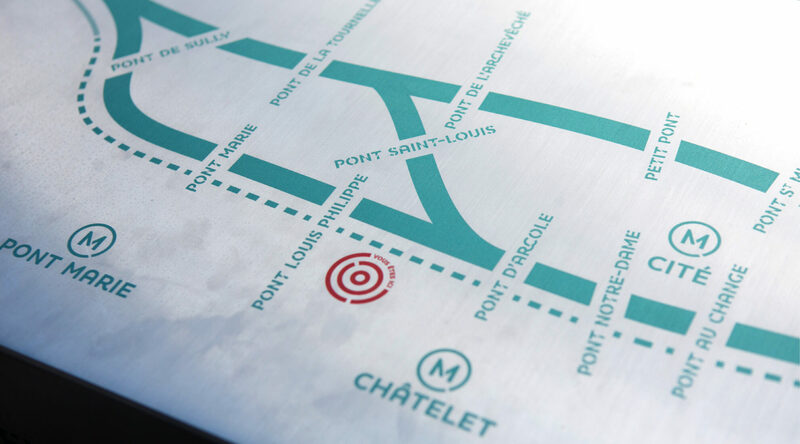 From logo to signage, to the launch communication campaign covering more than 2000 billboards in Paris, we had to create a joyful and engaging identity for this new place. 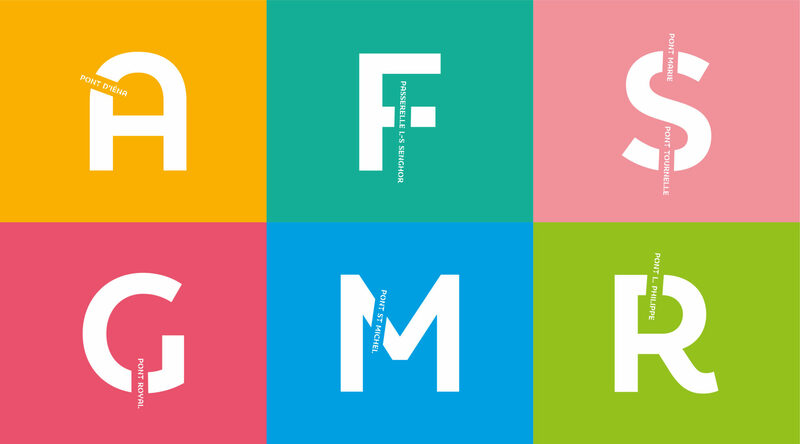 The use of bright colours and pictograms echo the diversity of activities now available. The iconographic style of the communication campaign featuring candid shots of real Parisians, illustrates the possibilities of moments in life. 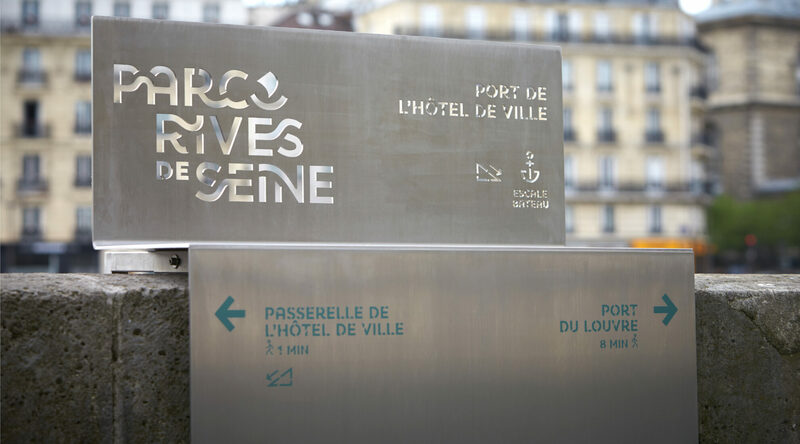 We were thrilled to receive a Cannes Lion for Parc Rives de Seine, the ultimate international design award.